The announcements for Class of 2018 have been mailed out by graduating seniors everywhere and I always love seeing the end products from my clients! This image of Maggie is just one of my favorites from hers. She may be barefoot in this one but the girl loves shoes! I can't wait to share more of her on the blog as we finish up her order. Maggie is graduating from Midlothian High School and will be attending Baylor University in the fall. Congratulations to such a sweet beauty! Class of 2019, contact me to book your senior portraits today! I can never get enough of the evening sun when the leaves are changing! This late fall session with my two favorite redheads, Lauren and Lindsey, at White Rock Lake was everything I wanted it to be for the best season of the year. Shooting with my all-time favorite 85mm lens (if you don't have one, get one!) added to the softness of the background oranges, yellows, and greens. Seriously, I wish I could freeze this scene in time as our fall color is always so fleeting. Our beloved White Rock Lake offers so many things to our community, awesome photography locations just being one. Thank you, Mother Nature! Sometimes I look back and wonder how I never got around to blogging certain sessions. This one of Audra, Madeline, and Tyler goes a bit back. I have photographed them several times now and I love seeing them each time. So without further ado, I'll leave you with some faves from the shoot we did around the White Rock Lake / Lake Highlands area. Yet another incredible senior that I have know for quite some time. Jack just graduated from the Science and Engineering Magnet School of Dallas ISD at Townview Magnet. I always remember him as a 1st - 5th grader being so polite, friendly, and super intelligent. It is great to see he grew up just the same! But it definitely shocked me when I saw him with beard and all grown up...So handsome! He suggested the location, one of his faves over near his high school by the Trinity River and a spot he often explores with friends. It was fun checking out this new for me spot. Loved the mix of old and new... And yes, we had to wait and time that DART train passing by. It seemed like it took forever just as a storm was ready to roll in. Glad we caught him on a non-windy moment! Congratulations and best of luck in college, Jack! This year I had the pleasure of photographing several seniors that I have known for several years... Back from my time I was a school librarian with DISD. I loved that career and even held onto it as I transitioned and built my business that I started in 2005 as a photographer. Stefan is one of those guys that I remember as quiet, respectful kid who always had a sparkle in his eye that let you know he was going to grow up to be a friendly young man. And he did grow up just like I imagined. 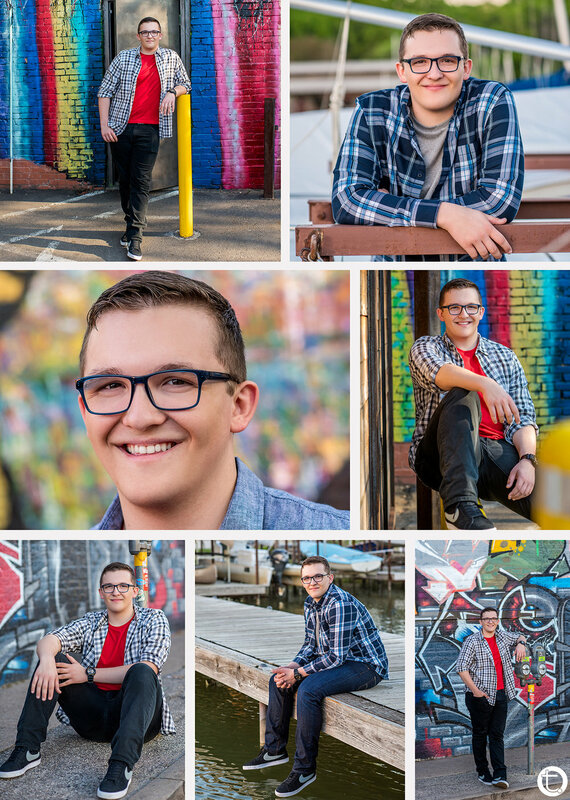 His session started in Deep Ellum as we sought out colorful spots (and I narrowly escaped getting run over in one shot) and finished up at the Dreyfus Club at White Rock Lake, where his family are members. This made for a great variety of shots. Here are just a few of their faves! Congratulations to this handsome guy as he moves onto the next phase in his life off at college. Looking to schedule your senior portraits? Tracy Allyn Photography is now booking fall 2017 and into winter & spring of 2018. RT @MitchGerads: When is that full Photoshop supposed to drop for the iPad Pro? Tracy Allyn Croysdale is a professional photographer located in Dallas, Texas. She specializes in photographing families, children, babies, high school seniors, maternity, and couples in natural light location portraits as well as offering studio sessions. In addition, Tracy photographs corporate headshots and architectural photography. She serves the Dallas / Ft. Worth areas and is available for travel to Austin, Houston, and surrounding areas. Tracy is also up for a National or International adventure to photograph you!